Aquabest, the country's premier water station franchise is reaching out to its local community by opening a soup kitchen for indigent people. 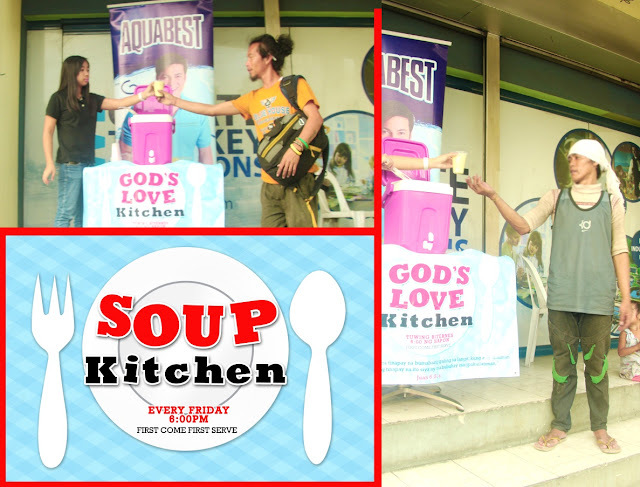 Witness every Friday afternoon, the company operates a soup kitchen dispensing hot meals to the poor at its head office along Quezon Avenue. Since it started operating this February, the soup kitchen regularly serves dozens of underprivileged people. The soup kitchen is part of the company's efforts to give back to society and is a reflection of the Christian values that underpin the company's operations. "As a company we have to strive to make a positive influence in our community. And our efforts here however small can help our underprivileged brethren that other people still care about them" says Carson Tan the company's President and CEO. What a noble gesture. Giving and sharing will never go outdated.